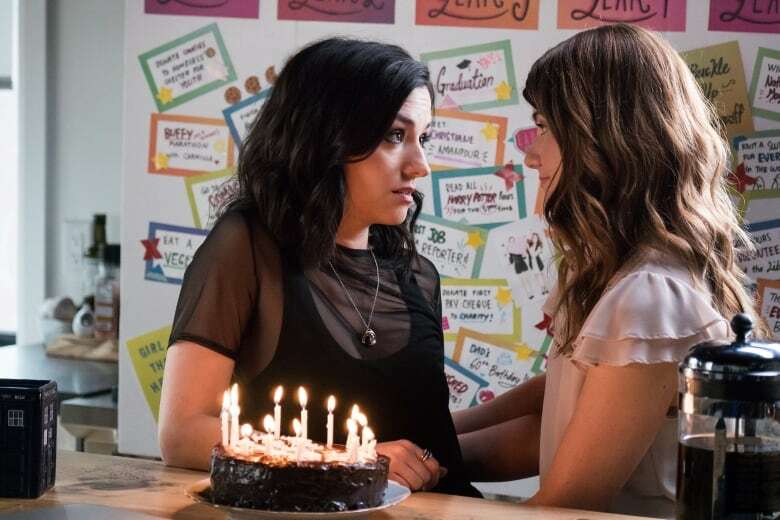 Carmilla is making the leap from YouTube web series to big-screen brand. The show, about a university student who falls in love with a vampire, has had nearly 70 million views over its three-season run. 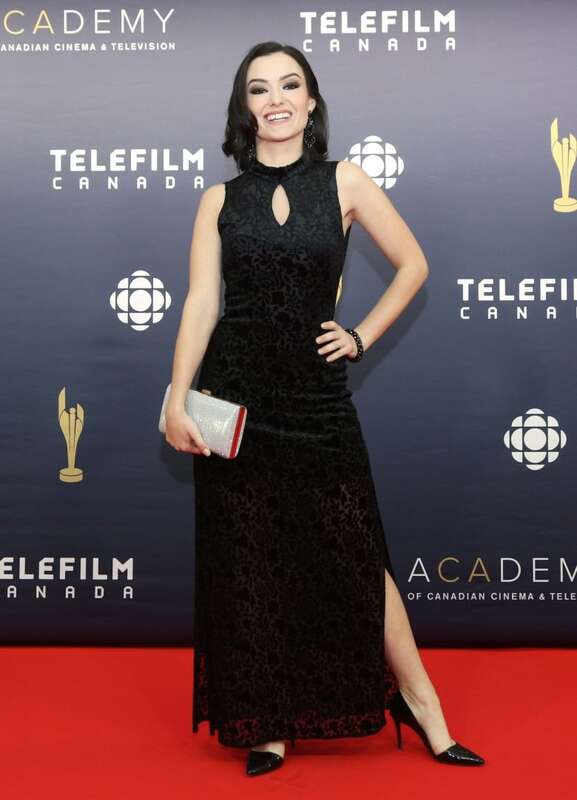 The 2017 Canadian Screen Awards shocked many in the television industry when the Fan Choice Award went to a little-known actor — Natasha Negovanlis — over popular television stars Hélène Joy and Yannick Bisson from Murdoch Mysteries. "Most of you are wondering who the heck I am," Negovanlis said as she accepted the award on stage. But millions in the digital realm would recognize the 27-year-old Toronto actor as Carmilla, a lesbian vampire. The YouTube series Carmilla has nearly 70 million views in its three-season run, fans in 193 countries, and has been translated into 20 languages. Now, it's leaping to the big screen with a full-length feature film. The low-budget Canadian show began streaming five-minute episodes in 2014. It tells the story of a female university student who falls in love with a female vampire. There are now 108 five-minute episodes, which streams on KindaTV, a YouTube channel aimed at millennial viewers. Part of the reason the series took off, according to Negovanlis, lies in catering to the LGBTQ+ community. "Our audience is so desperately in need of positive representation and it's something that they don't receive very often in film and television or media," said Negovanlis. While there have been network shows with gay or lesbian characters, often they aren't at the centre of the story. "Because it is a digital series, it reaches a larger audience. It reaches countries where being queer is sometimes illegal or not spoken about. So Carmilla provided this safe haven and online community." Co-star Elise Bauman, who plays Laura, credits the show's success to its courage to tell a story others wouldn't. "Digital is such an exciting new medium," Bauman said this summer during an interview from the Toronto set of The Carmilla Movie, which is now completed. "Stories are being told that previously haven't been able to be seen on networks." Executive producer Christina Jennings, CEO of Shaftesbury, said she didn't expect the little show to explode online. "What we didn't realize when we set off, is we were creating a brand," said Jennings. "You do your best creatively, you don't know if you've got a hit on your hands," she said. "By episode 20, it took off." The show takes a radically different approach compared to television in filming short episodes. The entire series is shot from one static camera angle, as though viewers are looking through a webcam. Jennings said producers tailor-made the series for YouTube, but the movie was shot in a more traditional way. Jennings said Carmilla is "breaking a bunch of rules" in the movie, just as it did in the series. The web series — which was sponsored entirely by Kotex manufacturer Kimberly-Clark — broke the mould as a scripted series for YouTube when most content on the medium was stand-up comedy or tutorials, she explained. The Carmilla Movie was financed in large part by fans: a third of the movie budget came directly from fans who pre-ordered digital copies. The Carmilla Movie will play in 30 cinemas across Canada on Thursday for one night only — as a way to bring fans together, Jennings said. On Friday, the day after the theatrical release, the film will be available for streaming online. The action in the movie takes place five years after the web series and Carmilla and Laura are still a couple. Furthermore, the Carmilla brand is continuing to grow, with a young adult book also in the works for 2019.